This article is for those who want to build a PC on a limited budget of $300. 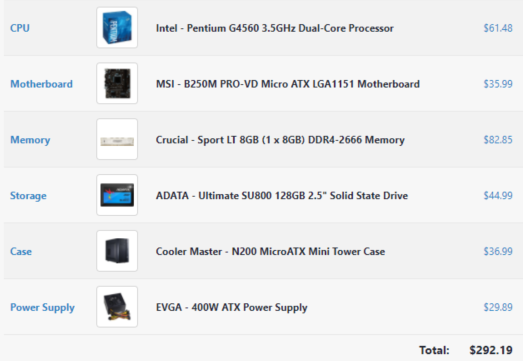 This build would be a great productivity/school/work PC from the start, but could be turned into a solid gaming PC with the addition of a graphics card. The goal here was not to make the cheapest build possible; I tried to select parts that a consumer wouldn’t regret purchasing a year later. Potential upgrades: GTX 1060 (3GB), 2-3 TB Hard Drive, Be Quiet Pure Wings 2 fans, Hyper 212 Evo cooler. CPU: This CPU should handle most daily tasks very well. For gaming, while not as advanced as an i5 or i7, it’s more powerful than a PS4 processor for sure. Of course, you would need a video card to make this build work for gaming, however, assuming you’re gaming at 60 frames per second, this CPU won’t be a limiting factor. You could even game at 4K on this machine if your video card is good enough. Motherboard: The one I selected on PCPartPicker was the cheapest one compatible with the CPU and it had a 4-star review average. Memory: Unfortunately, RAM prices are high. If budget is really tight, you could start with 4GB and add another 4GB stick. However, I chose 8GB for this build because Windows is RAM hungry and having 8 GB rather than 4 means that the build will be able to run very quickly with no slowdowns and multi-task smoothly. Storage: Even though this build doesn’t have a high-end CPU, having an SSD will allow it to be lightning fast without spending a bunch of money. If the limited storage capacity is an issue, a hard drive can always be added in the future. I recommend the SSD before the hard drive because it is much easier to add more storage than to transfer your entire operating system on a new drive. Power Supply: It’s from a reliable company and has positive reviews. 400w should be enough for it to handle mid-range graphics cards up to a GTX 1060 or GTX 1070. Presumably, future video cards will even be less demanding on power. Case: There were some cases available for half the price, however, quality is also taken into consideration. 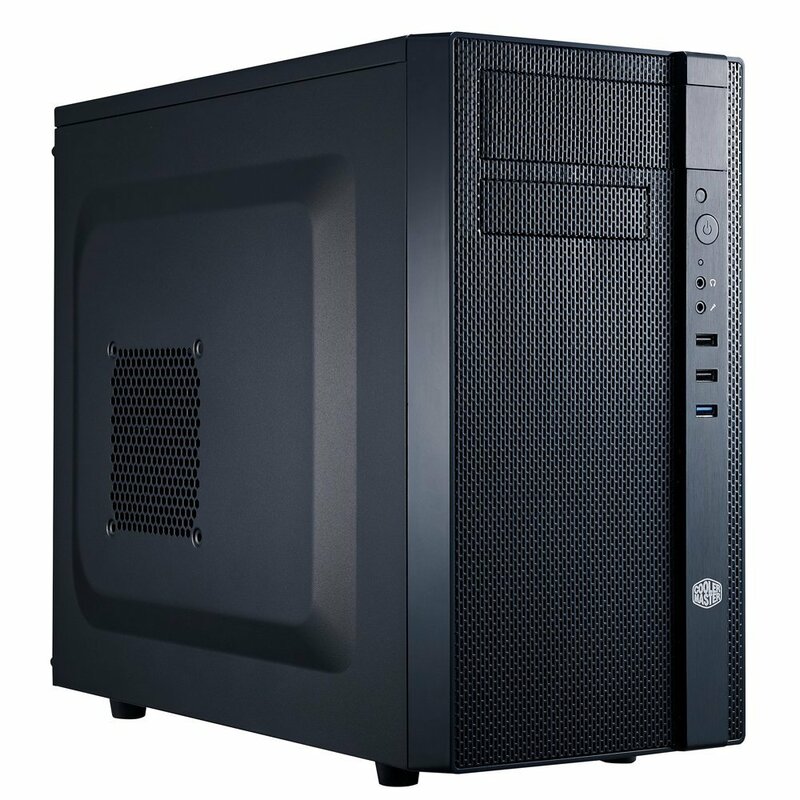 Many of the $15 PC cases out there are often abhorrently ugly, disastrous to work inside, have poor ventilation and terrible build quality. This case is not too big, and looks decent compared to other options in the price range. If a little bit more money could be spared, a budget case from Fractal Design would be good.